My husband and I did a re-positioning cruise from San Diego to Vancouver on Holland America in May. This was my first time on HAL (Holland America Line) and I can tell you it wont be my last. HAL offers a great product and I will show you 5 reasons that will have you considering them for your next cruise. 1. Relaxing! HAL is definitely not the old catch phrase of "Newlywed or Nearly Dead" as some people have said in the past but it is not as rowdy as some of the other top cruise lines. I wish people would forget about that old catch phrase and just try HAL. I know that many people say things about other cruise lines as well who have never even tried them. Just remember "don't knock it till you try it!" HAL has lots and lots to do whenever you want to do something but also has a great spa with a relaxing room, inviting pools that are not loaded to the brim, and lots of nooks and crannies to hideaway from it all and read a book or just shut your eyes and enjoy the soothing rocking of the ocean. 2. Fun! If you like activities all the time you can absolutely find that on HAL. 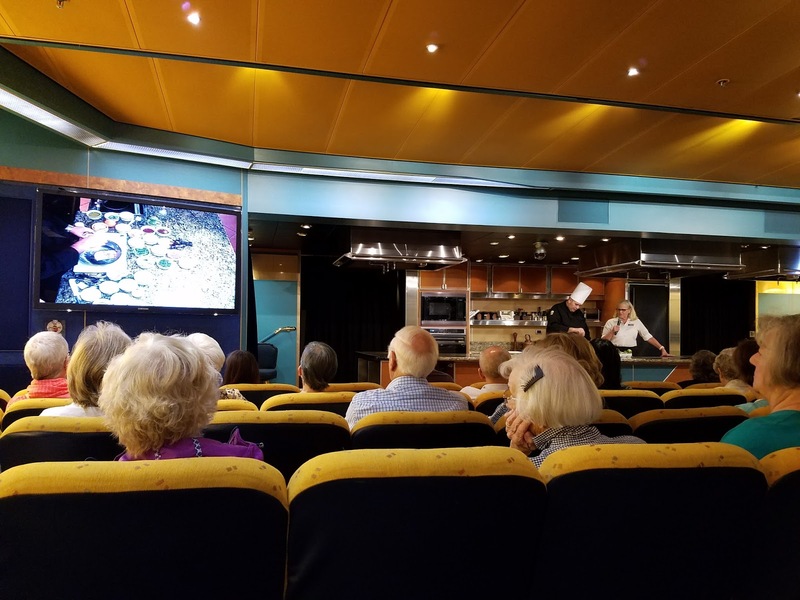 Some the exclusives on Holland America are the Culinary Arts Center where you can learn and taste new recipes. Another exclusive is the Microsoft Windows Digital Workshops where you learn how to make movies, edit photos, and even how to use your camera. HAL also has live music all over the ship, trivia, and other games you can participate in almost all day and night! At night the Culinary Arts Center turns into a movie theater with popcorn! You also have movies on your television in your room. There is also nightly shows in the main theater. No matter where you look something is going on! This picture was taken around 1am hence no one around but look at all of these chairs on the lower level where you can watch the ocean. There are also lanai rooms that have access to some reserved chair outside of their door. 3. HAL goes everywhere! 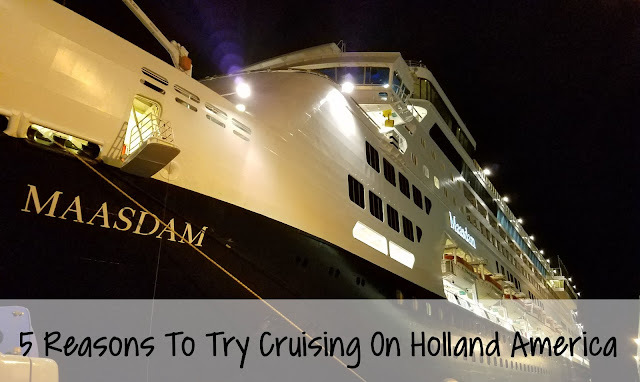 You can do a cruise anywhere in the world on Holland America. Just check out their website and find out all the possibilities. 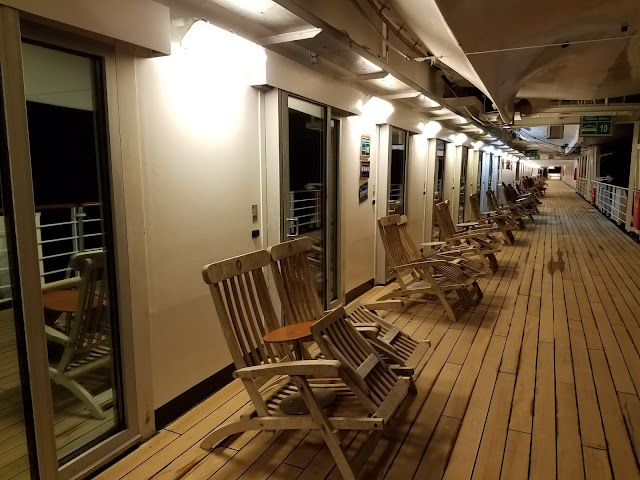 I have heard for years and years that the only cruise line to do in Alaska is HAL and after exploring the ship and seeing the surplus of outdoor spaces I can see why. Many of the cruise lines I have been on simply do not have a lot of outdoor viewing spaces unless you have your own balcony but Holland America has lots of places even with comfortable loungers on the lower levels and not just on the lido deck!. Comfy Bed I never wanted to get out of! 4. Great rooms and room service. 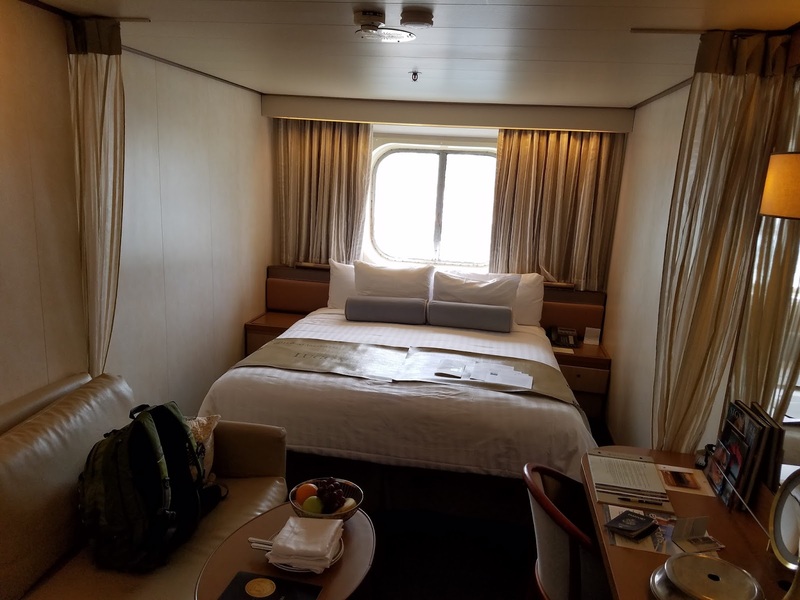 We had an oceanview stateroom that had the most comfortable bed. Seriously, the bed was very comfy I did not want to get out of it! This is where the room service comes in. Since I did not want to go up for breakfast I called and had eggs benedict sent to me with some bacon and potatoes. I also had a sandwich delivered when I could not decide what I wanted for a late night snack. I am also gluten free so I just asked for the gluten free bread and they accommodated me with GF English muffins and sandwich bread. They also had a sea sickness kit on the room service menu which included ginger ale, saltines, and a green apple. They also had a movie kit you could purchase with sodas, popcorn and candy! HAL really has thought of everything! My ribeye at the Pinnacle Grill only $35 for the experience! 5. Great food and friendly service. 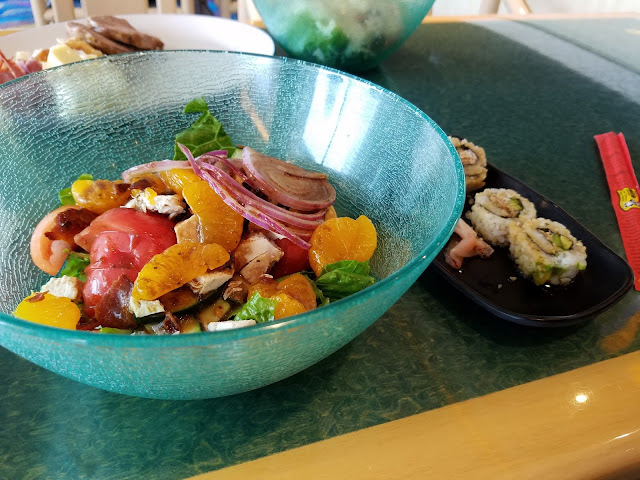 I am not a buffet person at all but I know most people think of buffets when they think of cruise food. While the buffet food on HAL was pretty good people should be talking about the steakhouse. 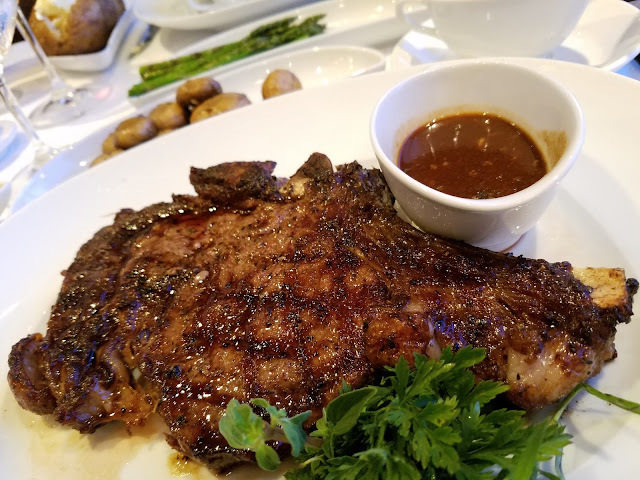 I have eaten at many steakhouses and I can say that Holland America's ribeye is one of the best I have had. Yes, the steakhouse is an extra cost of $35 but so worth it! In the steakhouse, main dinning room, and buffet they were very accommodating for my gluten and dairy free diet. All you need to do is tell them which you can do on your cruise line online info sheets before you board. If you are looking for great service and a vacation where you can do a lot or nothing at all you should definitely consider a Holland American cruise. I can say that my hubby and I are already looking at doing an Alaskan cruise with them. Bon Voyage!! !